This blog is dedicated to a variety of topics including design, philosophy and the environment. When I hear people say they do not like Xeriscape landscapes, their explanation is often based on a misunderstanding of what the term means and I would like to take this opportunity to clarify and broaden the discussion of what a xeriscape landscape can be. It is often misunderstood that a xeriscape landscape or garden must consist of only very low water use plants and perhaps that the garden must be exclusively natives or cacti. While some people may love a very "dry" garden, many do not and yet they can still have a garden that expresses the principles of "xeriscape" (pronounced: zeriscape). So the question is: How can one incorporate plants that require higher amounts of water in this type of garden? 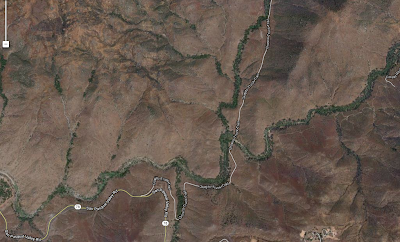 It is a matter of how and where those high water use plants are located. If we think of plants that require more water than others as more expensive plants, relative to the amount of water they consume, we might think of using them more sparingly and put them in places where we will be able to appreciate them the most. This philosophy does not imply, however, that low water use plants are less valuable or even less attractive because they certainly are not. The design of an outdoor patio can be done in such a way that concentrates higher water use plants very close to the patio so when we are sitting outside on the patio, we can see the texture of the leaves, we can smell the flowers and maybe even see butterflies or hummingbirds getting to know each flower. This should be done in a relatively small area. As we move beyond the perimeter of the patio space, we can very quickly, or gradually, transition into more low water use plants that work well in your particular climate of the world. These can be natives, non-native low water use plants or cacti and succulents. Such plants are often covered with flowers during their flowering season or they may have a fragrance that can be appreciated even while sitting on the patio surrounded by more water loving plants. Creating distinct areas of higher water use plants versus lower water use plants will also make designing the irrigation, if needed, much easier and more efficient. This is called hydrozoning and can be seen throughout nature. Hydrozoning is the placement of plants together with other plants having the same water requirements. See Hydrozone Diagram to the right. Have you ever flown across the southwest region of the United States and seen what appears to be dry barren land and suddenly you see a green ribbon of vegetation meandering through the landscape? This is called a “riparian zone” because it has a higher concentration of plants and therefore a higher concentration of wildlife. These two exist because of a higher concentration of water in a low spot or stream. If the space in which you are designing allows, you may want to consider mimicking nature by planting high water use plants in low areas, making sure that you drain storm water away from the building. Nature has a beautiful way of naturally selecting plants that will live in a given microclimate such as a constantly wet area, an area that is wet and dry for lengthy periods, and areas that are dry most of the time. These habitats can be applied to our man-made landscapes either by trying to emulate them exactly (very difficult) or merely symbolically, but the most important point to understand and appreciate is how we use water with the plants we want to experience. The xeriscape concept can be applied to all types of public spaces such as Shopping Centers, Places of Worship, Business Parks and even Equestrian Centers (our favorite). Consider where people will spend most of their time outside and if there is a strong desire from the client to have certain plants that need more water, those are the areas to concentrate higher water use plants. 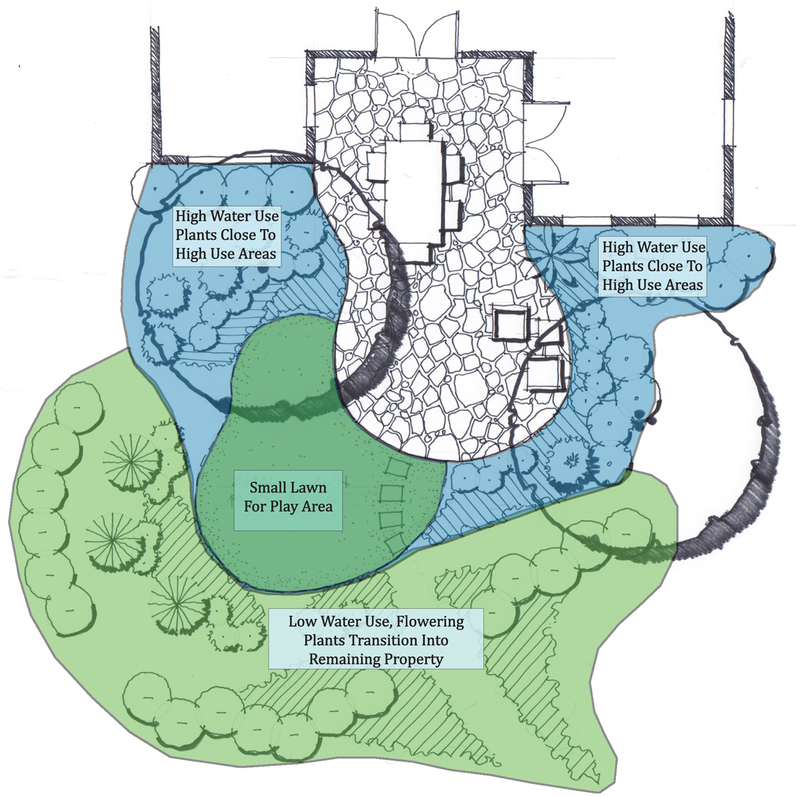 Beyond those areas, establish a strong design using low water use plants transitioning from the higher water use areas. We have only addressed a portion of one aspect of xeriscape principles (Planning and Design) but there are six others that are very important to consider. While considering these principles, remember that a beautiful landscape can be achieved using all low water use plants and that the point of this article is to show that higher water use plants do not have to be completely removed from consideration. For further study of the Xeriscape concept, we will discuss the following Seven Principles of a Xeriscape Landscape in future articles. If you have any questions or comments regarding xeriscape design, please feel free to comment on this blog site or email me directly at tim@wynn-smith.com. Others may benefit from your questions or comments. 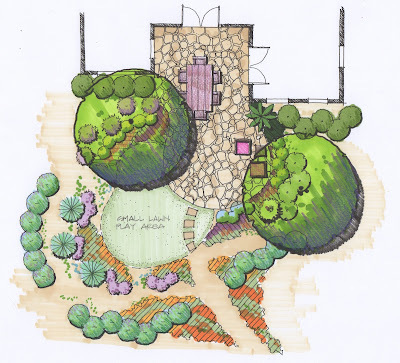 I loved your blog on garden design. I am a Master Gardener, and I make presentations on xeriscape gardening to the citizens in surrounding communities here in Colorado. I would like to know if I may have your permission to use the concept garden design sketch and the hydrozone plan sketch in my presentation. Please let me know if this is possible and what is required. I am glad you liked the ideas. You are welcome to use the graphics but I would require that you give Wynn-Smith Landscape Architecture, Inc. credit both orally, in your speech, and in writing just as a photographer would require. Thank you very much for asking respectfully. I do appreciate that. Feel free to call me any time. I would love to chat with you about your presentations. "We design spaces that enrich the lives of people, animals and the environment through sustainable design practices."